“A deeply moving, intensely personal narrative that unfolds as [Sarvestani] reunites with an astonishingly open and eloquent group of women." "Heartbreaking content triumphs in the highly emotional and personal docu “MY STOLEN REVOLUTION." "..a stirring look at how a personal story can be swept up in the winds of history." "The harrowing testimony and resilience of former political prisoners is compelling..."
"The film is a powerful testament to an unyielding human spirit." 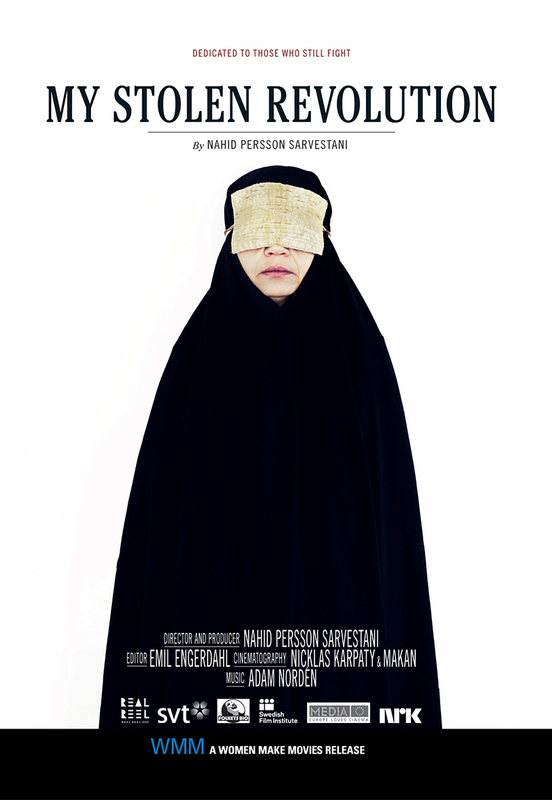 "..this essential documentary is a stirring monument to the healing joy of freedom..."
Born in Shiraz, Iran, Nahid Persson Sarvestani took political asylum in Sweden as a result of her political aNahid Persson Sarvestani (born 1960 in Shiraz, Iran) is an award-winning Iranian-Swedish filmmaker and director. Her most famous documentary films are Prostitution behind the Veil, My Mother - A Persian Princess, The End of Exile, and The Last Days of Life. In 2007, after having been arrested and briefly imprisoned by the authorities in Iran for allegedly having shamed her native country with her documentary on two prostitutes in Tehran, she completed the documentary Four Wives - One Man under difficult and dangerous conditions. The film which portrays a polygamous family south of Shiraz was smuggled out of Iran and finally edited in Sweden. As of November 2008, Persson Sarvestani recently finished the production of The Queen and I, a 90-minute documentary in which the director's year-long, complex relationship with the Iranian former Empress Farah Pahlavi is examined. The film had its North American premiere at Sundance Film Festival in 2009 and is under worldwide release in conjunction with the 30-year anniversary of the Islamic Revolution in 2009. Persson Sarvestani has received several awards for her films. The Last Days of Life received the Swedish Cancer Foundation's (Cancerfondens) Journalist Prize in 2002. The film Prostitution Behind The Veil, a controversial and painfully revealing account of the lives of two prostitutes in Tehran, received an International Emmy nomination, as well as the Golden Dragon at the Kraków Film Festival, Best International News Documentary at the TV-festival 2005 in Monte Carlo, as well as The Crystal Award (Kristallen) by SVT (Swedish State Television) and the Golden Scarab (Guldbaggen) by the Swedish Film Institute in 2005. She has been married to Thorbjörn Persson since 1987. They have three children.